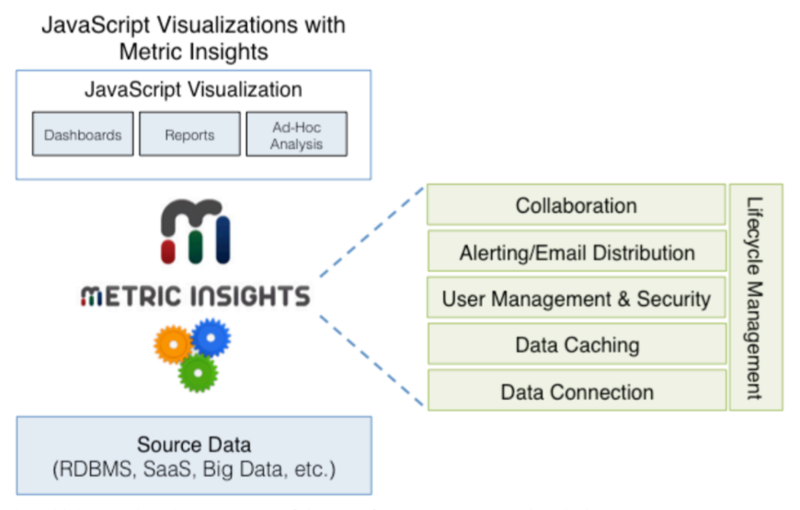 Metric Insights offers a turn-key solution that enables you to deploy leading edge JS Visualization libraries at an enterprise scale. As depicted in the following diagram, Metric Insights provides for all the major areas that are missing for ad-hoc JS Visualization deployments. Learn more about how you can overcome the challenges of scaling JS Visualization for the enterprise in this white paper.